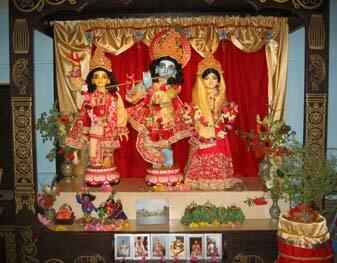 Srila Bhakti Sundar Govinda Dev-Goswami Maharaj this morning. Srila Gurudev happily receives Sripad Avadhut Maharaj, who arrived last night from Russia. 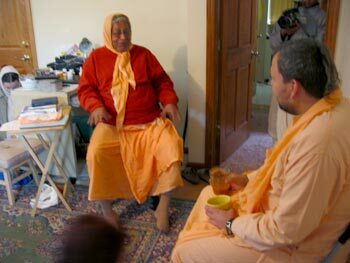 One sincere seeker named Aldo comes to ask Sripad Avadhut Maharaj for advice. 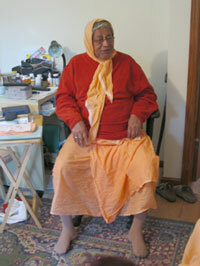 Avadhut Maharaj explains to him the importance of Krishna Consiousness.